Make your customer a lifetime customer. 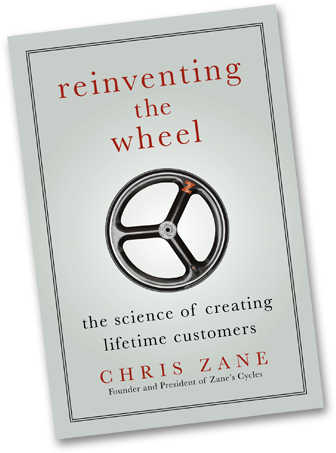 In Reinventing the Wheel, savvy store owner and business celebrity Chris Zane, who turned his bike shop into a role model company, reveals his strategies for attracting customers who come back again and again. Featured in The New York Times and bestowed numerous awards for his company’s unique business practices and outstanding customer relations, Zane is known to go against the flow, producing ideas many thought to be too generous and counterintuitive. 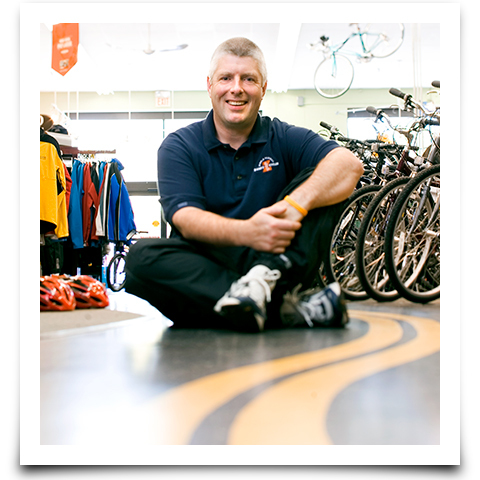 The success of Zane’s Cycles shows the importance of investing in customers and employees and how businesses are really selling experiences, not products. Drawing upon his experience and a clear understanding of the lifetime value of a customer, Zane tells the story of how his company has bypassed the competition repeatedly thanks to creative marketing, strong community relations, far-sighted image branding, and cost-controlled customer service. Zane isn’t a management consultant or professor preaching a theory of customer service; he’s a hands-on entrepreneur whose customer-service approach has yielded enormous success. Zane’s philosophies and tried-and-true methods will teach you how to thrive in any kind of economy—and do good for the community along the way.